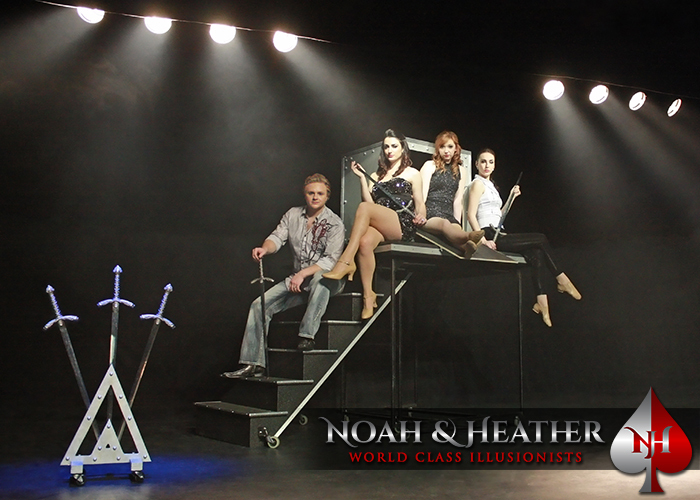 Noah & Heather | World Class Illusionists – Award-Winning Entertainment For Your Next Event! Exceeding Your Expectations…That’s What We Do! 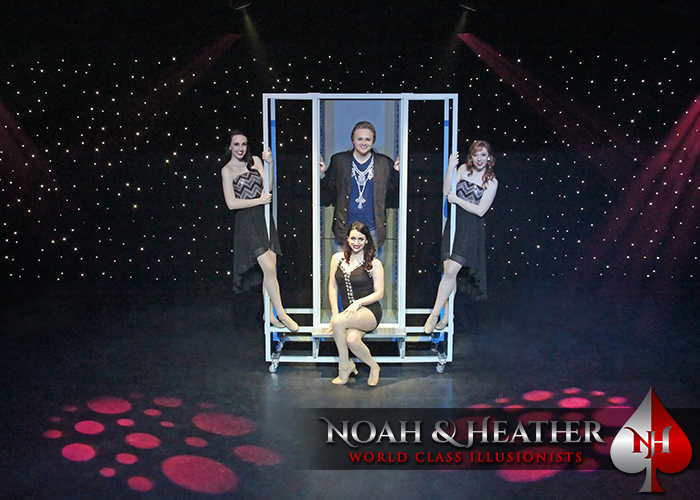 Noah and Heather Wells have traveled all over the United States entertaining audiences for over a decade, and they’re ready to make your next event come alive by bringing you World Class, Award-Winning Entertainment that you will never forget! 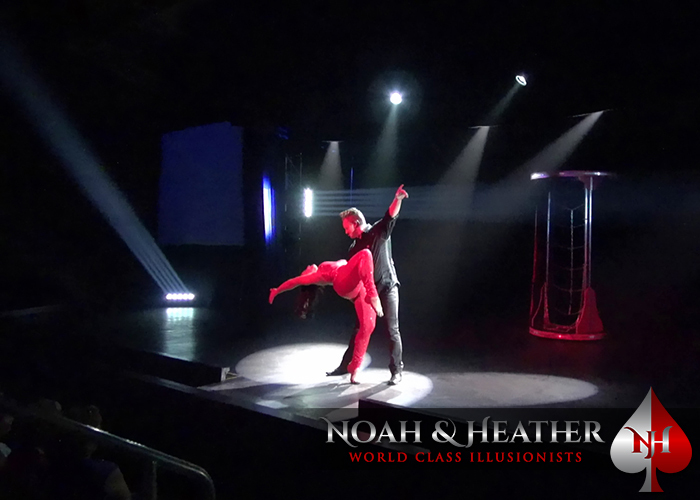 Noah and Heather are currently accepting bookings for Corporate Events, Company Christmas Parties, Theater Shows, Fundraising Events, and School Shows. 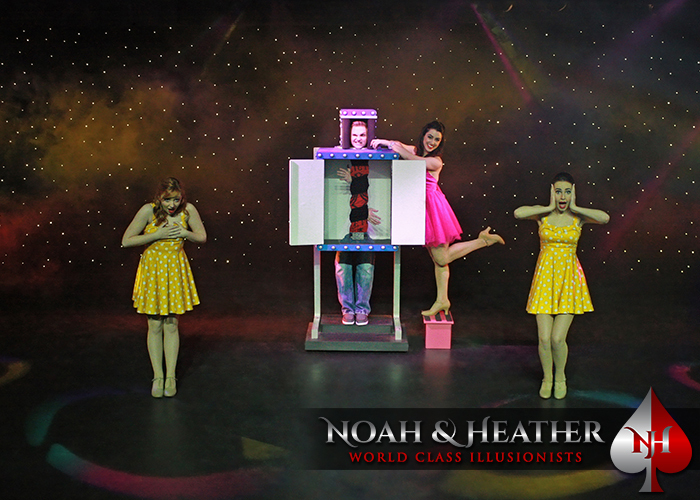 Imagine the excitement that you and your guests will feel when Noah and Heather take the stage and perform a magic show unlike anything you’ve seen before! Let the MAGIC fill the air, let the COMEDY move you, and let the unexplainable MINDREADING leave you with a sense of WONDER. If you like getting involved, you just may be the STAR of the show! 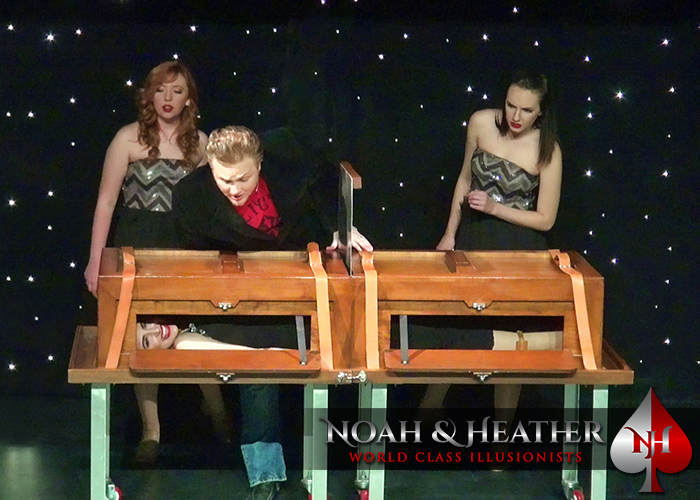 Noah and Heather’s AUDIENCE PARTICIPATION is second to none. We’ll even incorporate that SPECIAL SOMEONE into the show! We have the ability to perform shows for the length of time that best suits your needs. 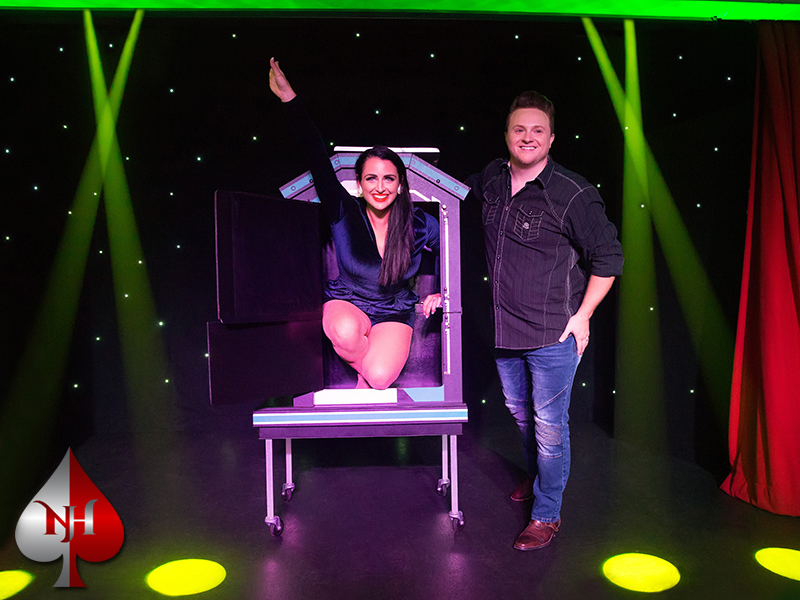 Most of our clients request shows ranging from 30-60 minutes, but we can custom tailor our show to perform anywhere from 15-90 minutes depending on your needs. We also have the ability to provide our own Sound System and Stage Lighting if needed, making us a “self-contained” solution for your entertainment needs! Lastly, rest assured knowing our production is fully covered with Commercial General Liability Coverage insurance of one million dollars. Receive a quote within 24-48 hours or less! Give us a call at 877-655-NOAH (6624) or fill out the form below with as much information as possible. Noah will personally email or call you back to talk about your event and give you a quote. Thanks so much for inquiring and we look forward to entertaining you soon! Please provide any additional info about your event here. 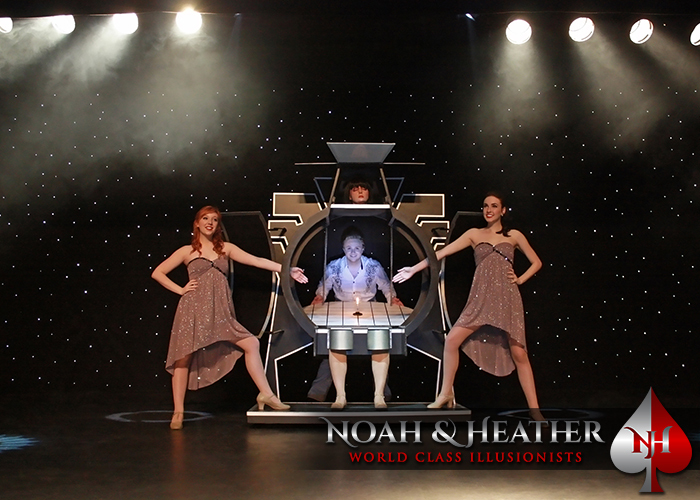 Noah & Heather Present The MAXIMUM MAGIC Show at HarborWalk Theater in Destin, FL! 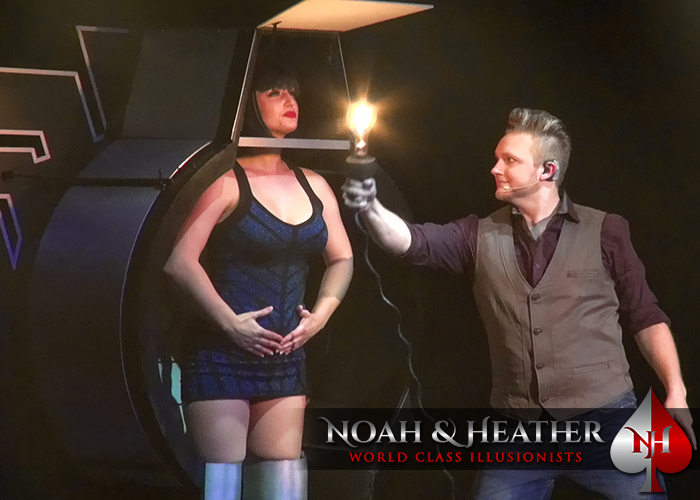 Noah & Heather were awarded the Merlin Award two years in a row for “Illusionists of the Year” in 2011 & 2012, and were just voted “Entertainers of the Year” for 2017 from the International Magicians Society, the world’s largest magic organization. The Merlin Award is magic’s equivalent to the Oscar. It’s the highest honor a magician can receive. 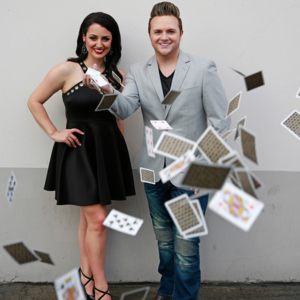 Noah & Heather made history as the youngest magicians in the USA to ever receive the Merlin Award! For more videos check us out on YouTube and subscribe! 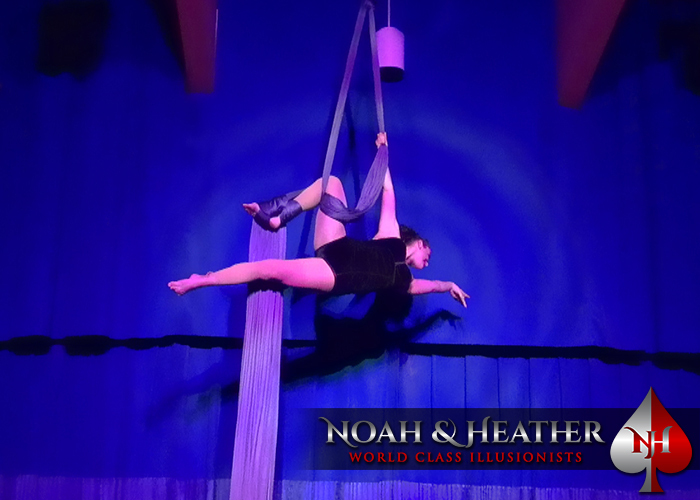 It was because of magic that Noah and Heather met each other in 2005. 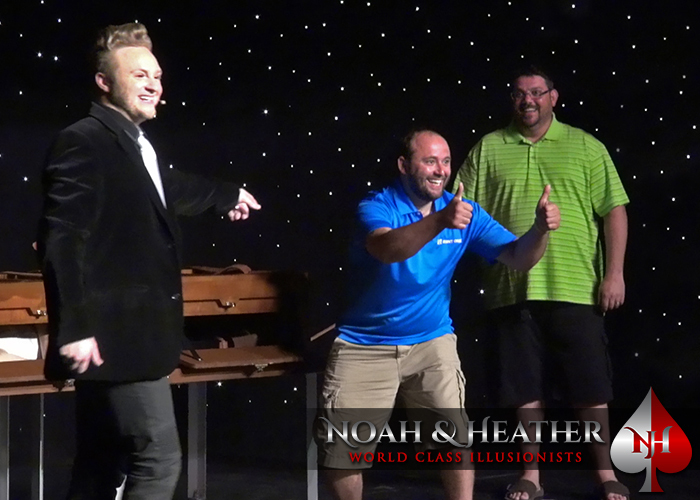 Noah was opening a show in Branson, MO and was looking for an assistant. Heather’s father saw the ad in the newspaper and Noah met with Heather and her parents. They hit it off and the rest as they say “was history”. 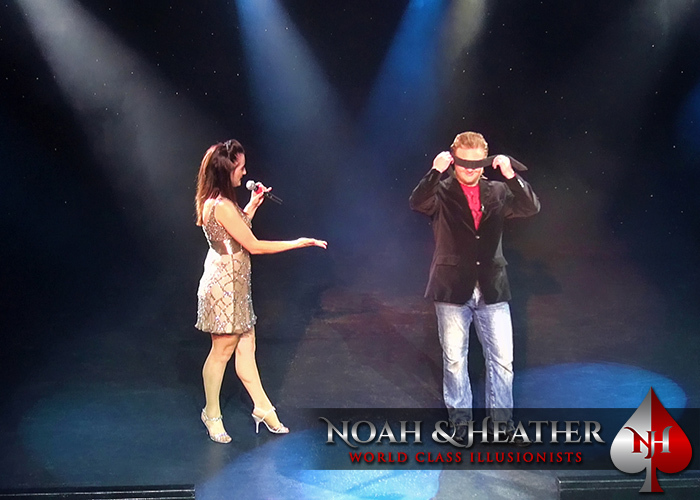 Shortly after meeting each other in Branson, Noah and Heather had an opportunity to take their show to Florida and perform in a 650 seat indoor theater at one of Panama City Beach’s top attractions, Gulf World Marine Park. 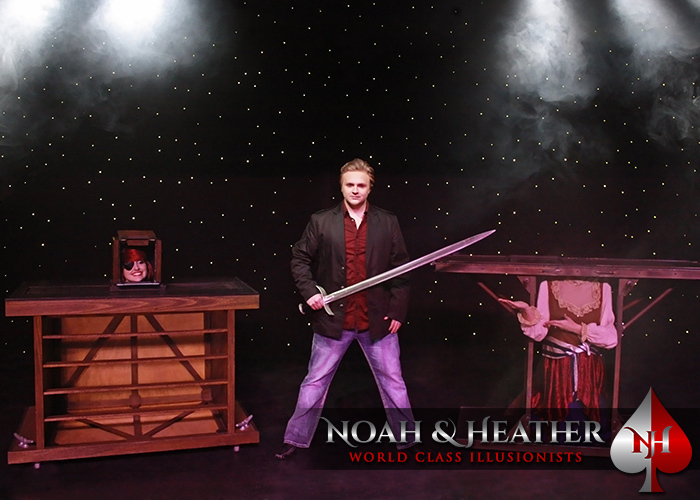 It was here that Noah and Heather would spend the next eleven years growing and perfecting their show MAXIMUM MAGIC and operating their hugely successful magic and novelty store, Noah & Heather’s Magic Emporium. 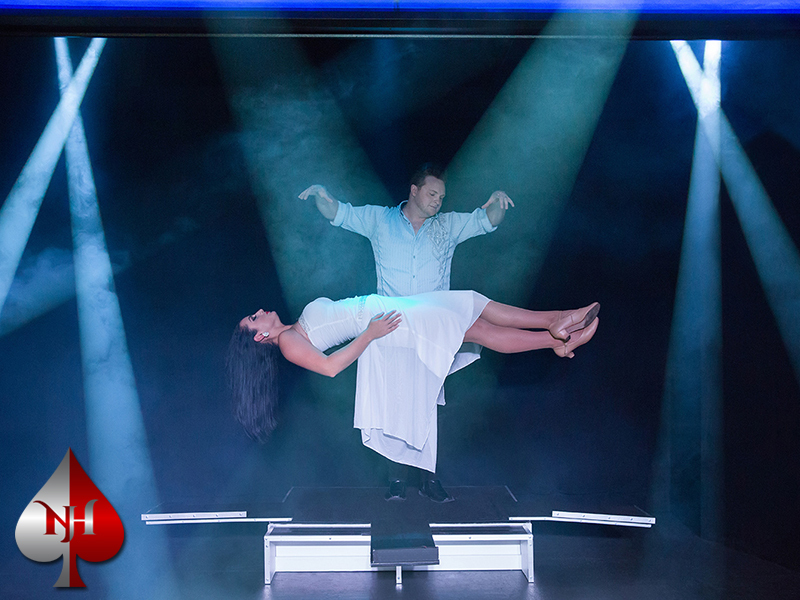 Their show quickly became a top Panama City Beach attraction in and of itself with thousands of new and repeat guests witnessing the show year after year. 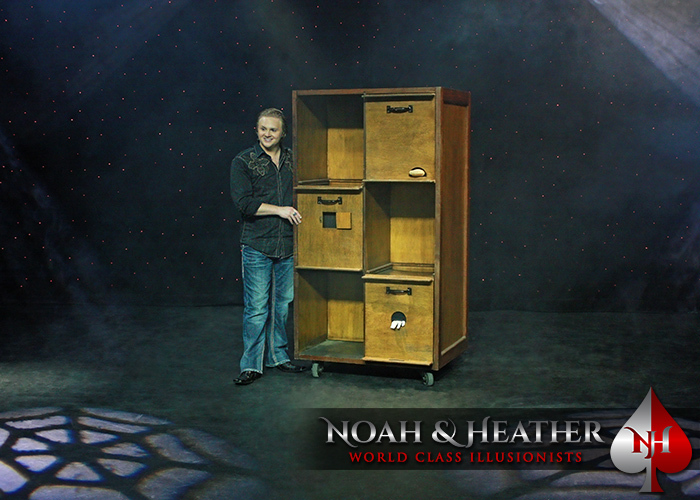 In 2011, 2012, and 2017, Noah and Heather were honored with the prestigious Merlin Award, Magic’s Highest Honor, from the International Magicians Society, the world’s largest magic organization. The Merlin Award is Magic’s equivalent to the Oscar, It’s the highest honor a magician can receive. 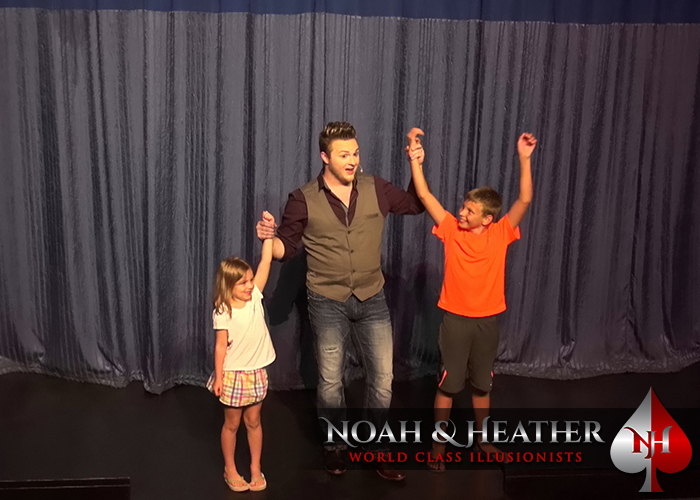 It’s rare for a magician to receive this honor two years in a row, and when Noah and Heather received their first award in 2011, they made history as the youngest magicians in the USA to ever receive the Merlin Award. 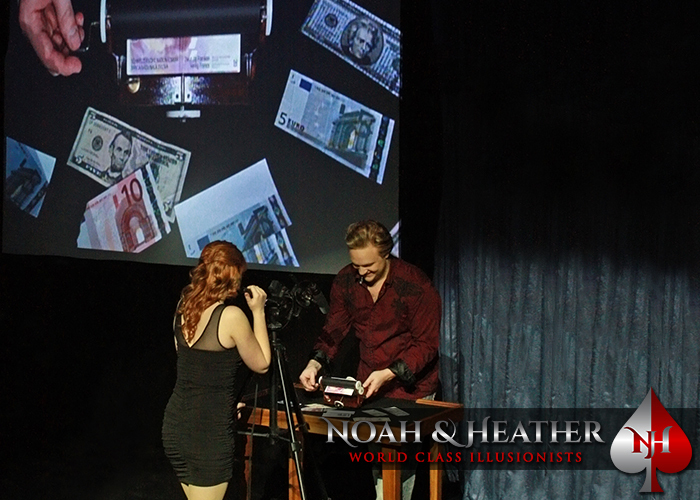 Their awards for “Illusionists of The Year” and “Entertainers of The Year” put Noah and Heather in the ranks of other Merlin Award recipients including David Copperfield, Penn & Teller, and Criss Angel. 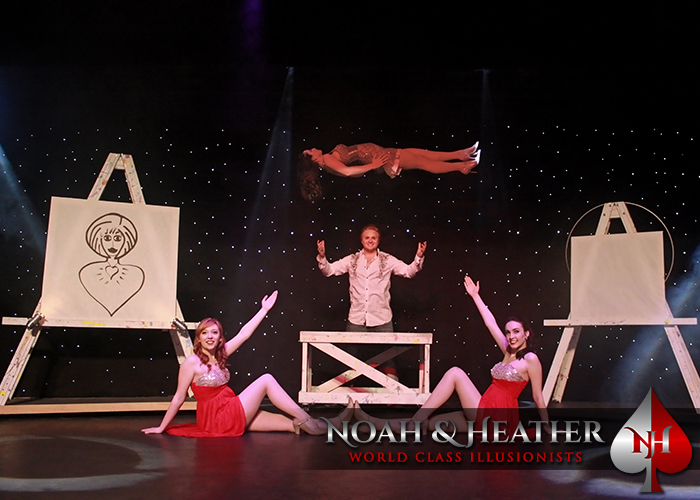 In December of 2016, after eleven years of performing hundreds of shows a year in Panama City Beach, Noah and Heather resigned from Gulf World to begin a new chapter of their lives, a new show in an intimate venue, and thus “The MAXIMUM MAGIC Dinner Show” was born. On December 28, 2016, Noah and Heather performed their first show in the new venue at Fudpuckers Restaurant located on beautiful Okaloosa Island, FL. 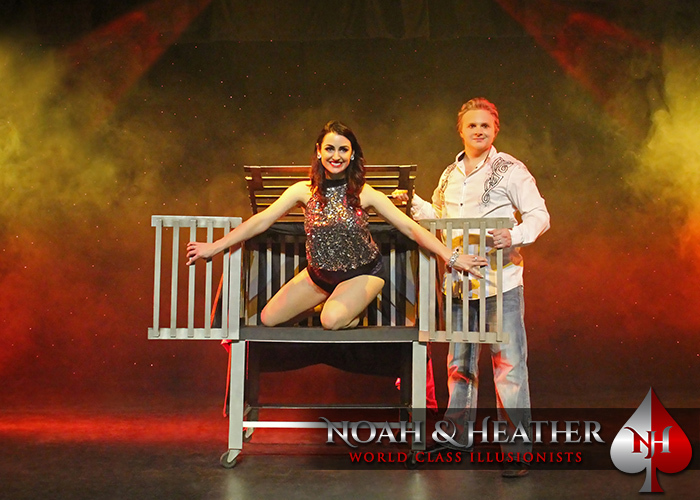 After two successful seasons of shows on Okaloosa Island, Noah and Heather were presented with the opportunity to open their own theater in Destin, FL. In November 2018, they opened the HarborWalk Theater located on the second level of HarborWalk Village. Noah and Heather’s new theater is home to their MAXIMUM MAGIC Show, Hypnosis Shows, Comedy Shows, and Noah’s Magic School, Super Cool Magic School. “MAGIC MOMENTS” Newsletter! 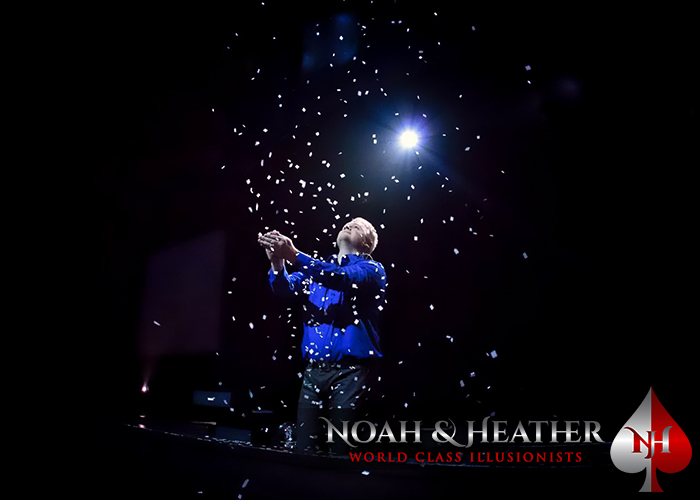 Get Noah & Heather’s Newsletter in your inbox 2-3 times per month absolutely free. Sign up below and be in the know! 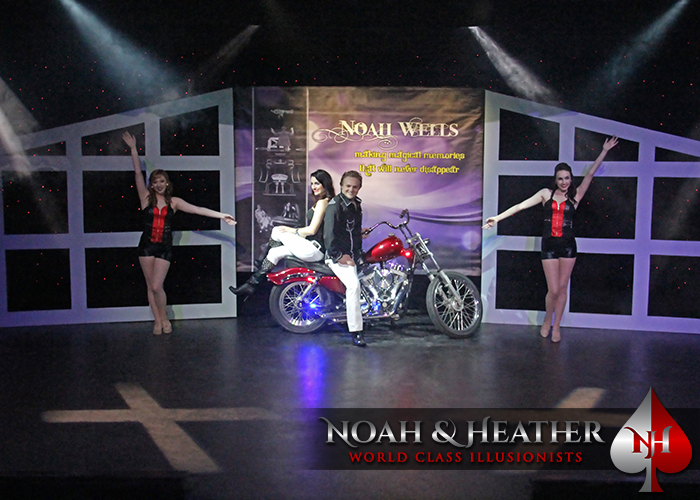 © Copyright - Noah & Heather World Class Illusionists | "Making Magical Memories That Will Never Disappear!"